Our Nidotherapy Workshop at the Bentley Hotel and Hill Holt Wood in a Lincolnshire was a well attended and eventful meeting. We are now moving towards full training assessment at these workshops and delegates were put to hard work by writing a prize nidotherapy essay, asked to do homework before the meeting, and to assess a series of patients for their suitability for intervention. They held up well and were also offered the opportunity to have tickets for a new operetta linked to nidotherapy about the romance of Elizabeth Barrett and Robert Browning. Sue Bowles of Acorn Villages in Essex was the winner of the nidotherapy essay prize and this was presented to her at Acorn Villages on 16th April. 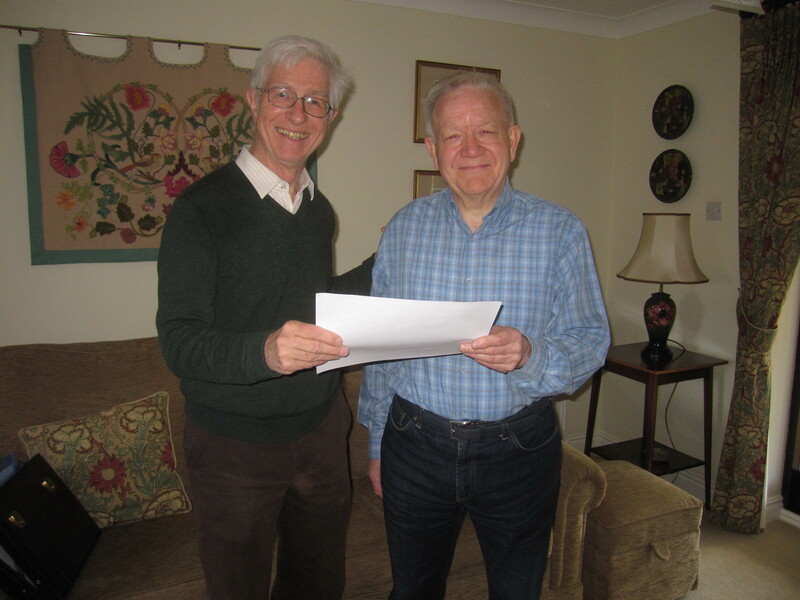 Tony Morris, who has recently recovered from a nasty episode of anxiety and depression, also received a Diploma of a Competence in nidotherapy, the first service user (patient) to do so. One of the songs from the operetta – ‘my great escape’ (http://youtu.be/qSnqgwg1iU4); it illustrates the great desire for autonomy that is at the heart of nidotherapy. Those who are interested in having a copy of the DVD for £5 please get in touch with Peter Tyrer. 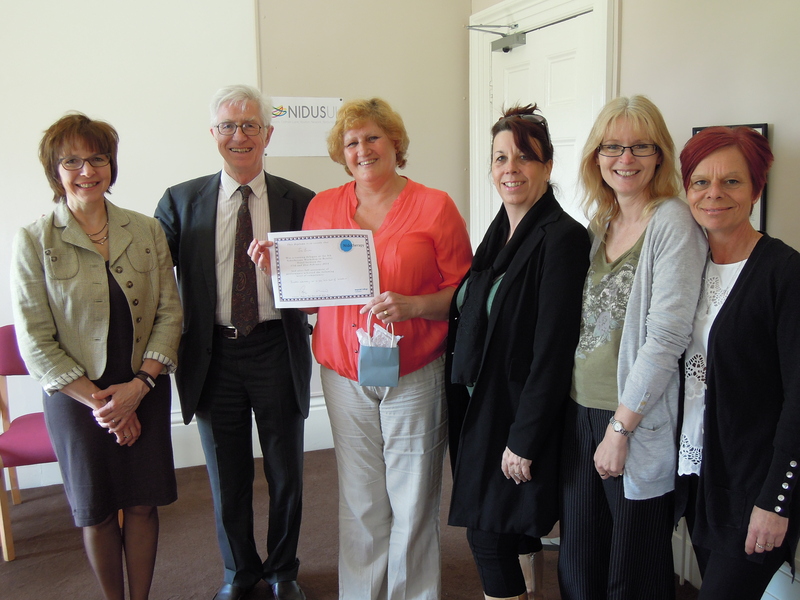 Sue Bowles of Acorn Villages in Essex is seen here being presented with the nidotherapy essay prize for 2014. Acorn Villages look after people with intellectual disability and is an excellent example of nidotherapy working in practice. Tony Morris of Southwell is the first patient/service user to achieve a high level of competence in nidotherapy and here he is being presented with his certificate. We are sure many more will follow.